Chocolates can catch one’s eyes. 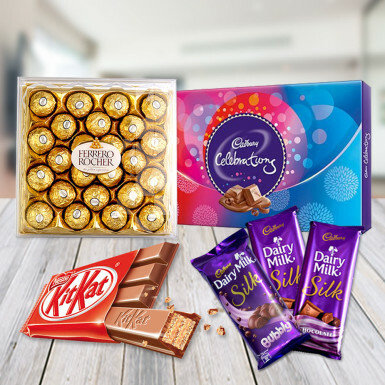 Winni brings you this tempting chocolate combo that fits in every occasion or celebration. Send your wishes dipped in chocolates and sprinkled with love. Let your loved ones take the bite of these chocoholic delights. Place the order from Winni and get the sweetness of this combo delivered at your doorstep.